I came across Lorna AKA @mummyloveessie‘s Instagram account, one Friday night when I was supposed to concentrating on a film. Instantly I lost an hour, such was the joy in this family and the love they felt for their 3 children. Then I realised that their was something more, that they had unique story to tell, albeit a heartbreaking one about growing triplets and sadly losing one. Essie is my daughter. 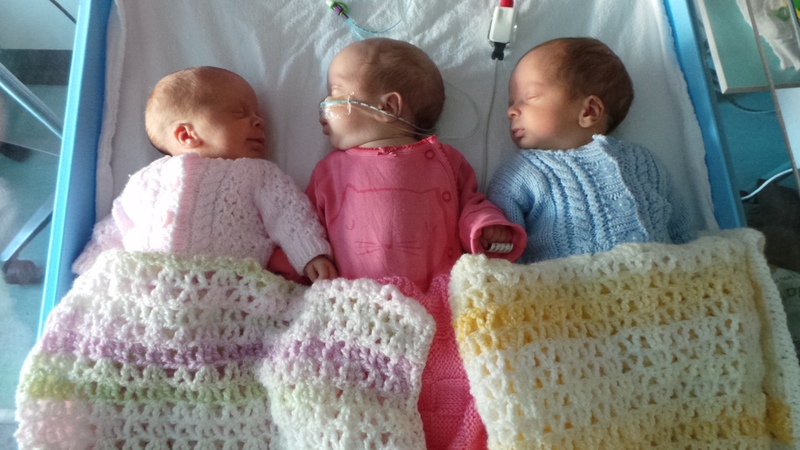 She is a triplet born prematurely on 1 February 2016 at 32 weeks old, along with her brother (Roman) and sister (Eva). Essie is known as Essie Pops, or Pops for short, as Mummy always called her Poppet which got shortened to Pops. The nickname suits her and became a part of her; like her precious curls. Essie is an identical twin with Eva. We were told about Twin to Twin Transfusion (TTTS) being a risk until 28 weeks as the girls were in the same sac and had the same placenta. At our 14-week appointment with our consultant he asked: “how many of these babies do you want to carry”, he was very blunt! Our answer was: “we want to keep all of them”. And we did. All three of them, who were instantly loved, and all very much wanted – especially after a load of fertility struggles due to my severe PCOS. The day they were born was amazing and horrific. The reality of having three premature babies going straight to NICU (neonatal intensive care) after a c-section delivery with a million people in the room never quite dawned on me. The babies all came out crying and I remember doing the same as each one was briefly shown to me before being whisked away to be taken care of by doctors and nurses. I lost a lot of blood and spent the day in a room waiting to be moved to the ward. No cuddles, no skin to skin and I saw my babies on photos only. Then a doctor came and sat with me about an hour after my husband had left late that evening and said, “your daughter Essie is very poorly”. She’d suffered a significant lung haemorrhage (grade IV, the worst, as we later learnt) and needed to be urgently transferred to St George’s Hospital in Central London. I felt sick, tears wouldn’t stop flowing and an amazing midwife put me in a wheelchair (not as easy as it sounded) and took me to see Essie so I could say “hello” and “goodbye”. Essie fought through her very difficult first 48 hours of life. When everyone expected her not to survive, and nurses returning for their shift the next day assumed the worst when she wasn’t there with Roman and Eva, but she did survive. That’s my daughter. She only knows how to fight. Then everything changed when Essie was 11 days old. In a room full of consultants, doctors and nurses (good news is never given when there so many people are in a room) we got told that a cranial ultrasound showed that Essie had suffered a “catastrophic brain injury” from TTTS at birth (which is very rare) and she would be life limited. Essie was not expected to last beyond childhood and she would probably have no sight, no hearing, no mobility, no communication. No expectations. I remember crying and holding my husband and saying, “I don’t want to take home a vegetable”. I hate myself for saying those words now, but I was terrified. I had no idea how to cope with a severely disabled baby, let alone one who is a triplet and her brother and sister needed to be looked after too. I cried a lot. I grieved for the child I wouldn’t have. I became scared of my daughter and didn’t want her to come home. I asked if we could get her fostered. I was in a very dark place. My husband and I cried so much; gut-wrenching sobs that shake your whole body. Roman and Eva came home from hospital at four weeks old and Essie got transferred to a local hospital, where she stabilised and then they started talking about her coming home. But coming home meant having absolutely no support for our beautiful daughter with very complex health needs as we had been “ineligible” for help based on some stupid questionnaire the NHS does for continuing care. I wasn’t having that, so decided to do my own “Mummy loves Essie” campaign and told my story to the Daily Mail, BBC News and ITV News. 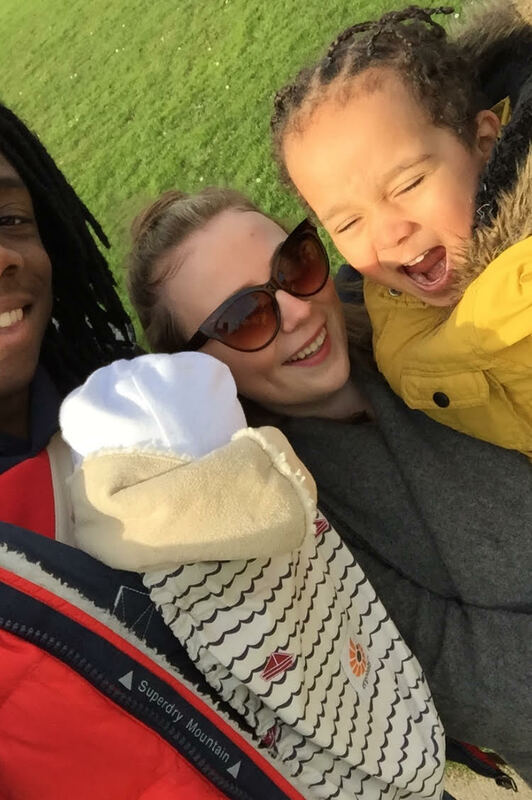 The NHS changed their mind and gave us limited help, and that was it – Essie’s story was out there now and there was no hiding from the fact that we were parents to a severely disabled life limited child. 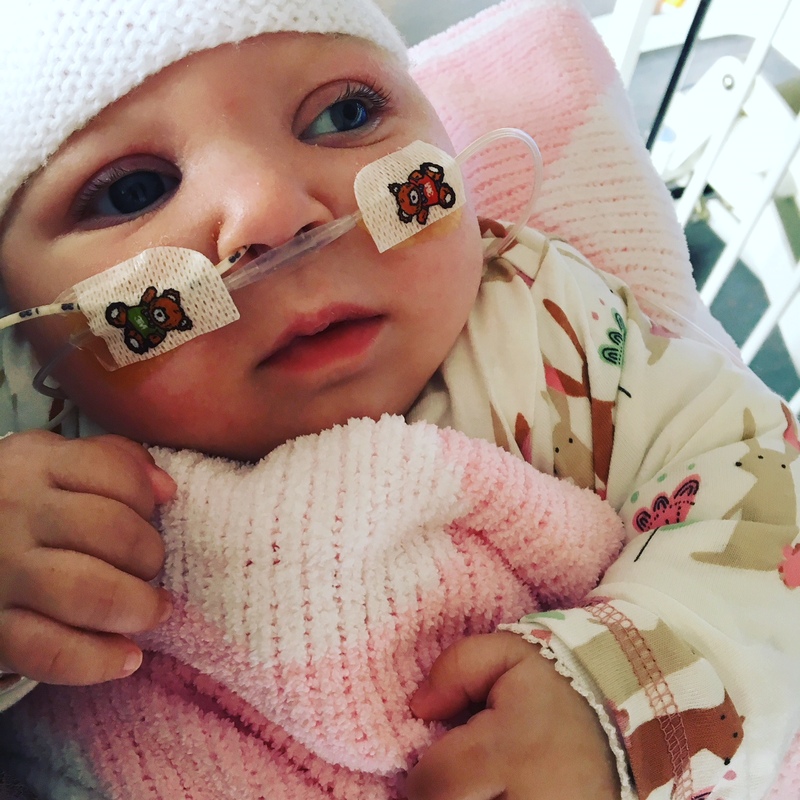 Essie spent 11 weeks in hospital before she came home on 19 April 2016. She came home with a long list of people visiting her: a community children’s nurse, a physiotherapist, an occupational therapist, a speech & language therapist, a dietician, a children’s disability social worker, and the amazing Chestnut Tree House, the children’s hospice that Essie went to from 13 weeks old. Looking back, I have no idea how we coped. In many ways, we didn’t. 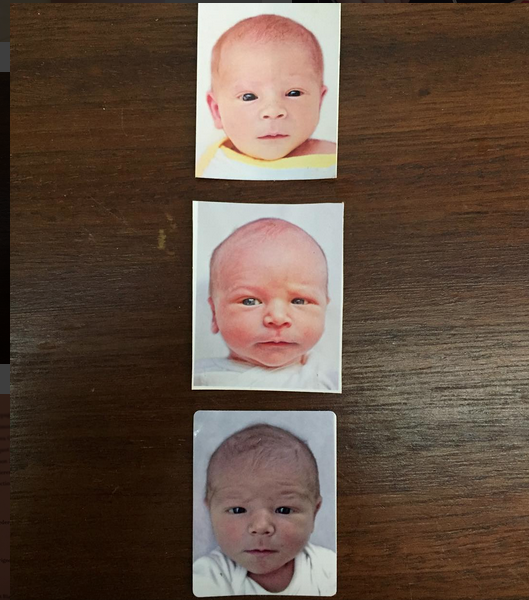 We were first time parents to triplets and one of them was a ticking timebomb due to her life limited condition, plus on top of this we had to become medical experts. Essie was so unique that a lot of how she presented herself absolutely dumbfounded experienced medical professionals. My first ambulance journey with Essie was when she was diagnosed with severe epilepsy at 14 weeks old. You know that gut you have as a Mummy? Listen to it. Don’t ignore it. Take videos to prove you’re not imagining things. Essie had a very bad epileptic seizure and couldn’t come out of it. I dialled 999 started talking and then burst into tears. I cuddled Pops the whole journey to hospital, desperately trying to ignore the sirens, and whispered to her to keep fighting. The paediatric doctor was able to diagnose epilepsy from the videos I had on my phone, so Essie started her medication immediately and my Mummy’s gut was right. 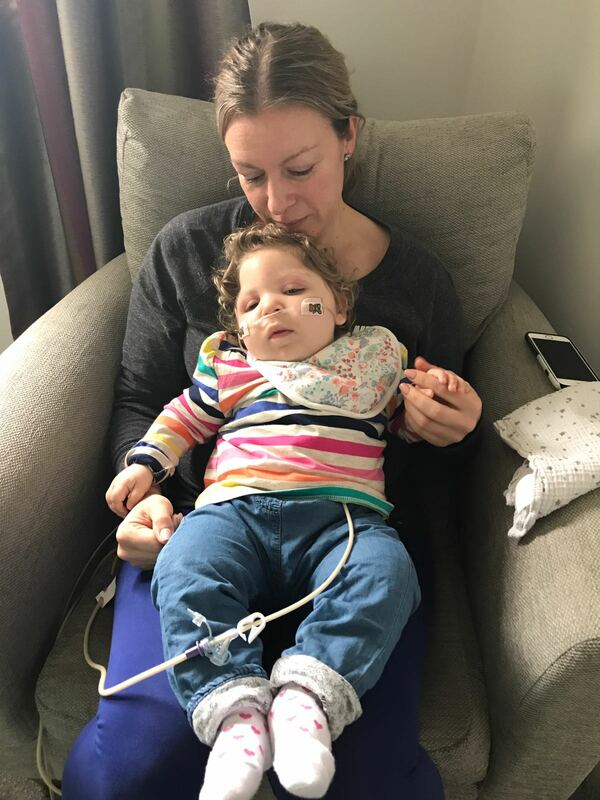 My second ambulance journey with Essie was after her 16-week immunisations, as no one thought to mention that whopping cough was a ‘live’ vaccination and would most likely cause a bad seizure, so should be given in hospital. Essie and I had another ambulance journey and yet again I was the medial expert when we arrived in paediatric A&E. There were many more ambulance journeys and calls to 999, where I wouldn’t cry, and I would use medical jargon like the expert I had become. If you have a baby or child that is sick, learn the medical terminology. It will mean you can get everything explained more clearly. There are so many acronyms and medical terms to get your head around, especially when dealing with the list of things that made Essie so special. Then our world changed in August 2016. Essie suffered a bad case of pneumonia and went into respiratory arrest in front of me while in hospital (after another ambulance journey). I didn’t know what to do or think, but had to watch the doctors press that emergency red button and get to work bagging Essie to bring her back. It took 20 minutes and that night my husband and I had beds pulled into her room as they didn’t think Essie would make the night. But she did. Of course, she did, she was Essie the tortoise with magical superpowers. Being wheeled out of hospital to an ambulance waiting to transfer us to the children’s hospice was gut wrenching. I couldn’t look the nurses in the eye who had seen Essie so much over the past year that we were now on first name terms. I remember whispering to Essie to “wait for Daddy darling, don’t fly away yet”. Arriving at Chestnut Tree House, I broke down and sobbed. We’d arrived, and Essie was still with us. Off we went to a bedroom with Essie and held her, and through tears read her ‘The Gruffalo’s Child’ and waited for her to take her last breath. But Essie wasn’t Essie for nothing. End of life only means end of life if the person decides it is. Essie didn’t want to go yet. She was so weak and so vulnerable, but she fought and after three weeks she came home with a support package in place that meant we finally had a night nurse every night and we had some help during the day at weekends. Memories are precious and priceless. I know this. Celebrate the normality of your day to day existence as for the four and a half months that we went through Essie’s end of life phase either myself or my husband were under house arrest. We were ultimately responsible for her care, even if Essie had a nurse with her. The memories I have will stay with me forever, putting Essie in the swing in the garden one morning and propping her up with blankets so she didn’t flop over and making sure her curls were shining in the sunshine. I have a video of this moment, which makes me cry thinking about it. Never ever take anything for granted, your normal and mundane is something that Essie could only ever dream of. And then she was gone. Essie flew away to be a shooting star on Sunday 13 August 2017 at 2:12am. From Friday at 5am when her night nurse banged on our door and handed us Essie blue and not breathing, we knew she was in a bad way. A very bad way. But part of me always believed she would pull through. After all, this was Essie. Who else could cope with everything she’s ever faced…? We had about 12 episodes from that Friday morning where Essie would stop breathing turn blue and my husband and I would hold her and will her to breathe. Her nurses had never seen a child come back from an episode like that without having CPR. But we didn’t question how she was able to do it. This was Essie, the rulebook doesn’t apply. 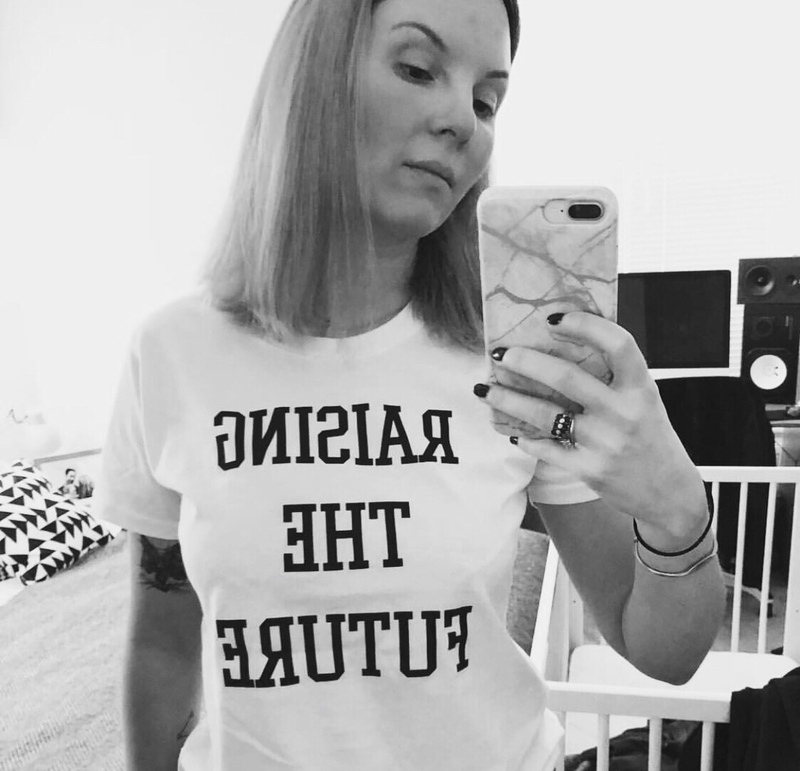 When you know you are going to ultimately lose a child and not have a happy ending, you think about things that you shouldn’t have to think about. How you will get Essie’s brother and sister to say goodbye. How the funeral should be. And then our thoughts and thinking had to be put into practice. Our house quickly became full of people at 3am. Nothing new in many ways as we were used to having strangers (that then became friends) in our house. Help comes in many ways and you accept all offers of help when dealing with a severely disabled life limited baby. 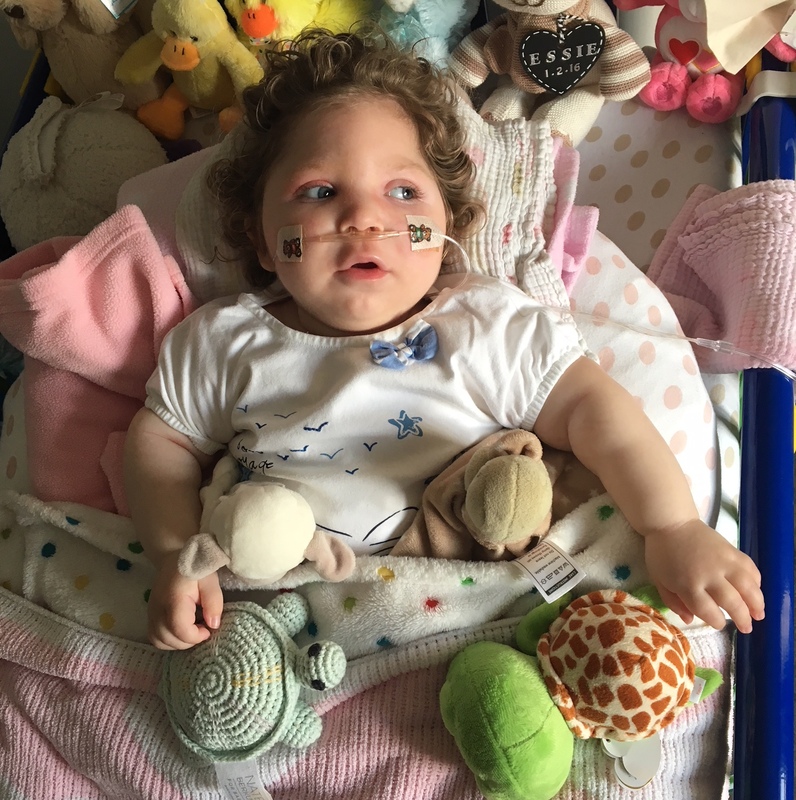 Roman and Eva got to say goodbye to Essie without realising it, as we waited to wake them up at ‘normal’ time of 6:30am, changed their nappies and took them into Essie’s room where she was peacefully laying on her special hospital cot and had a tube-free face (at last). Roman and Eva flung themselves on Essie and gave her cuddles and kisses; and then Eva took a soft sheep rattle from the top of Essie’s bed and gently bashed her on the head with it. Goodbye Essie, triplet style. Her main legacy will always be her brother and sister. Wow. What a wonderful story I have just read. Beautiful people. So inspiring to see how strong and brave one can be during the hardest situations. Sending my love to you.